Norman Leavern Stokes was born 26 Feb 1922 in Union County, IL. 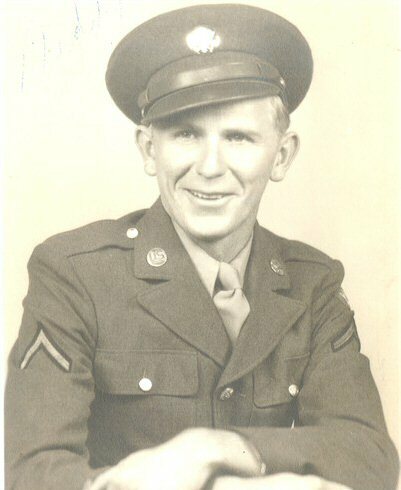 Norman enlisted in the Army Air Force Services on Mar 29 1943 during World War II, he was in the last group of men to be enlisted from Johnson County, Illinois. Areas he was stationed at during the war was: Guam, Saipan, Okinawa, Iwo Jima and Tinian. He was an airplane power plant mechanic and his job was to observe operations of airplane power plants and make adjustments necessary for proper functioning. He was honorably discharged on Nov 16 1945, his rank was Sergeant. On October 10 1948 Norman enlisted in the Air Force Reserve and was honorably discharged as Airman First Class on August 20 1952. Norman L. Stokes took his Final Flight 31October 2001.